A cost effective tool to give your team access to breaking news, analysis and insight, best practice and a vast archive of articles. Spot potential problems and help safe-guard against them. Examine how other councils have responded to budget cuts, policy changes and the need to raise service standards. Develop new initiatives and build economic growth. Read advice, opinion and case studies from the most important people in and around local government as you seek to benefit from the devolution of powers. "Our team has used LGC to help public health people get to grips with key issues in local government. Our online license makes access to content easy. LGC articles have sparked discussions across our council around innovation or challenges. LGC is a cost-effective and important tool, keeping us up to date on the issues across local government." "Informative, insightful, impartial and right in the moment as stories develop, LGC Plus is essential reading for anyone in local government. It has great content, analysis and comment; a key opinion shaper for our sector." "As a long standing user of LGCplus I have always been impressed with the consistent level of quality, analysis, and breadth of topics reported on. LGC have an amazing team who are committed to getting the job done and it is essential reading for anyone interested in the development of the public sector." 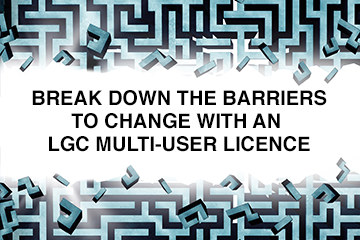 Find out more about the LGC multi-user licence by completing this form; we will get back to you within one working day.